My mother is obsessed with guessing the ages of celebrities she sees on reality shows, infact – I’m quite certain it’s the only reason she watches them. She hasn’t quite grasped the fact that with the power of the internet, I can hop on Wikipedia and tell her exactly how old Stefanie Powers is quicker than she can analyse the tell-tale signs from the actress’ neck and hands. She guessed correctly by the way: Mum 1 – 0 Wikipedia. Perhaps I should point Stefanie in the direction of the new Elemis Pro-Radiance Hand and Nail Cream, the latest addition to the Elemis sp@home body anti-ageing lineup. 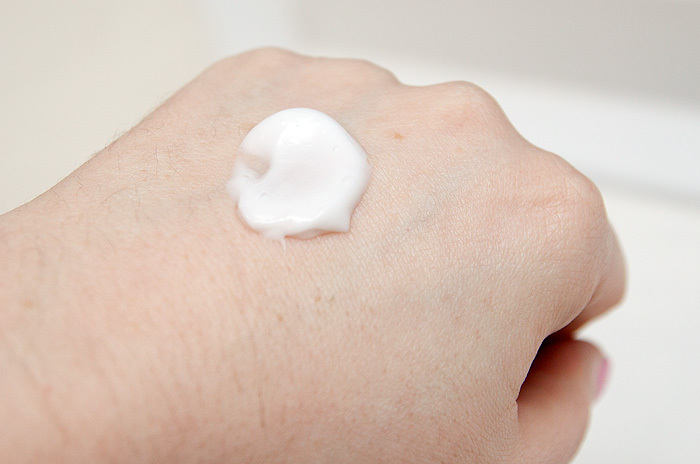 The rich hand cream contains a wealth of skin-loving oils including: Omega 7, Avellana Seed Oil, Macademia Seed Oil, Virgin Plum Oil and Camellia Seed Oil to promote skin suppleness, elasticity and protect from free-radical damage. It’s delicately scented and leaves my hands feeling nourished without that sticky hand-cream feeling. It may be a little too heavy-duty for the summer months but it’s been doing wonderful things for my cuticles and hang nails this month. Formulated free from: parabens, sls, mineral oils and silicones, the new Pro-Radiance Hand & Nail Cream is generously sized at 100ml and will be launching next month alongside a sister (limited edition) product; Perfect Hands Anti-Ageing Treatment (£29.90) which will be contributing £8000 from sales to The Eve Appeal. 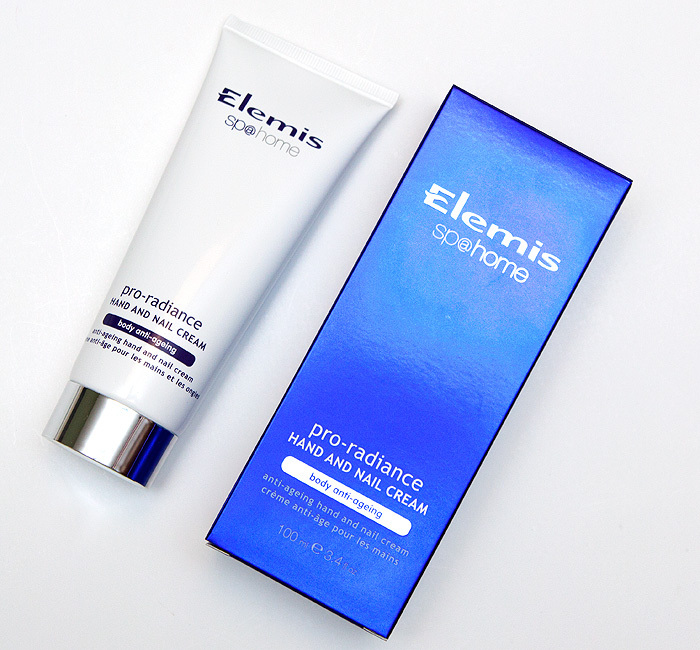 The Pro-Radiance Hand & Nail Cream will be priced at £22.00 and available from Elemis stockists nationwide including timetospa.co.uk, spas/salons, selected John Lewis, Debenhams and Harvey Nichols stores. I love this stuff. By far the best hand cream I’ve ever used!